Building a team that shares the values and core mission of your organization is the secret sauce to finding success. Your team is your brand, and if you do not have the right people you really have nothing. You want the people you hire to share your passion for your company’s mission and vision. 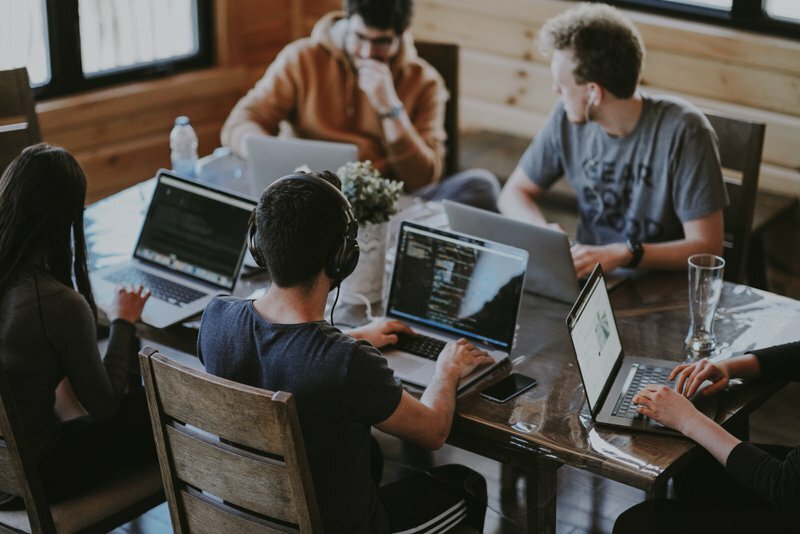 Countless employees are disengaged at work due to a lack of connection of their company. Having employees care as if it were their own company and not just coasting to their next paycheck is imperative. Hiring people with experience and skills does not always mean you’re hiring the employees that care. People who put in the most hours but couldn’t care less about what they’re doing will never truly succeed. When the passion is gone, the employee is no longer of value to your company. So how do you attract the right team that has the heart, passion, and values your company stands for? Here are some ways you can ensure that you or your HR department is getting the right people to join your brand and give you that competitive advantage. What Story Are You Telling When You Are Looking to Hire? Every one of us has a story to tell, and most of us who are entrepreneurs have had pretty incredible journeys filled with struggle, perseverance, and passion that have gotten us where we are today. This is where being vulnerable comes in. When you share this journey openly, it shows potential hires the values, the mission, the determination, and the love behind your company. By sharing this, they can clearly understand that if they want to work with you, they’re going to have to care as much as you do. This practice of showing them how hard you’ve worked and how hard you expect them to work allows for an informed decision of whether or not they’re the right fit for you and vice versa. This practice can benefit larger corporations and startups alike. At the end of the day, your company means everything to you. Don’t waste time interviewing people who are looking solely for their next source of income. Your company is worth more than that, and no one knows it better than you. Tell them early so neither of you get the wrong idea. How Will You Connect with Prospective New Hires? The most critical part in searching for new hires is connecting your story with theirs in the most impactful way possible. Sharing your company’s story through video will help them visualize the impact you hope to make, and the opportunities employment with you will present to them to make your mission a reality. Including your current employees into your story is key, giving your prospective hires a clear picture of how your current team functions and works toward achieving your goals. Show them who you really are; let them see your face, hear your voice and see your presence in this video to show them that you are at the helm of your company’s work, and not just the name on the biggest paycheck. Video storytelling brings your company to life for those just hearing about you for the first time, it shares the core of who you are and where you hope to go. This will help you gain the interest of those who genuinely care and honestly believe in what mission. You want a person who will be on board and who truly cares, not someone who is there just for the money. Those who have the same passion and values will help you create a culture that will allow your company and employees to thrive. When looking to hire a prospect, you’re not just conducting the interview, you are being evaluated as well. Keeping that in mind, you must focus on selling you brand and allowing prospects to find a connection to it before they commit themselves to you. Sharing a visual story about your brand helps to determine how the person has or has not connected with it, and during the next phase of discussion you are able to ask questions pertinent to your core values. This will give you the opportunity to truly decipher what is most important to your potential new hire and if they will be able to align themselves with your culture. Making sure you enlist the people with the highest potential for your company can make or break your current brand status. This connection matters to you as a leader, as your company cannot succeed if you don’t find people who care about your brand and your goals. Video storytelling will help you express your core brand values with meaning and will help you find and retain those who are passionate about your brand. It will help prospective employees find the right reasons to be a part of your winning team.